NEW Customizable Zero Commission Booking Sequence. Can your online booking service do this? The NEW LOOK Strait Reservations online booking service now looks even better and will turbo charge bookings through your own website! We have spent many months analysing how customers book online and our new updated services build-in everything we have learned during this process. We have also changed our booking service to make it look better across all types of devices used by customers. 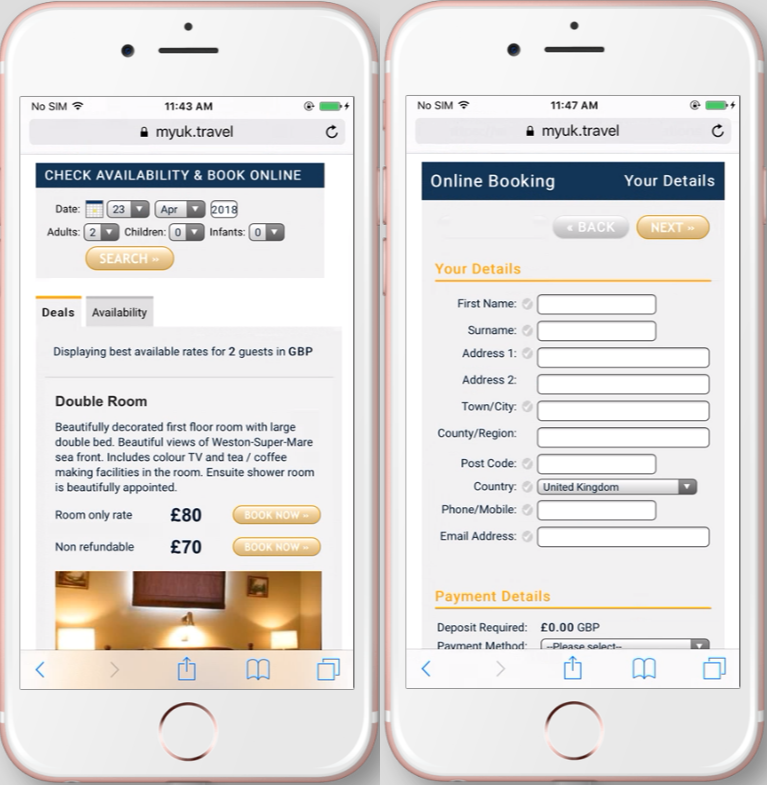 From smartphones, to tablets and large computer monitors, the booking service looks fantastic and helps avoid the need to scroll across the page like many inferior booking services. This service is of course ZERO Commission - you will not pay any commission or any per reservation fees for bookings made through your own website. Our booking service is highly customizable and can easily be altered to suit your requirements. You can create your own look, add in your logo, change colours, design it to match your own website theme and choose which options you wish to display. We have also improved the way a customer can view rooms and special deals with our new 'Deals' tab. This allows you to showcase your rooms using much bigger photos; the various booking options / rate plans are displayed alongside. 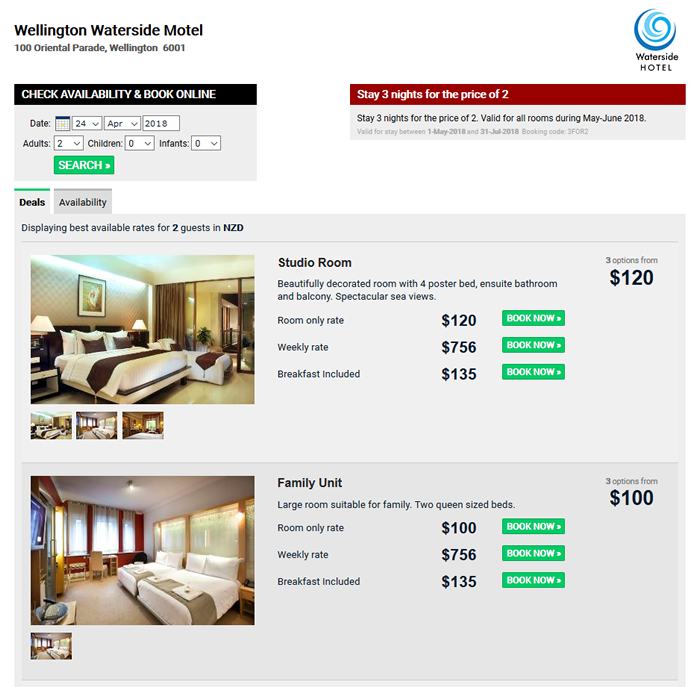 Our availability grid makes it stunningly easy for customers to find available rooms / packages. With most other booking services, if you have no availability for the dates they search on, the customer will just see 'SOLD' when they search, and then give up and go and book with one of your competitors. With our availability grid, customers can easily book alternatives dates without having to do multiple searches. Our research shows that you will get around 18% more bookings if you use an availability grid! Our online booking service is specially optimized for customers making a booking via a mobile/smart phone. The system automatically reverts to a simplified booking sequence that is specifically designed for the smaller screen size of their mobile device.